I am such a sucker for new gum flavors. 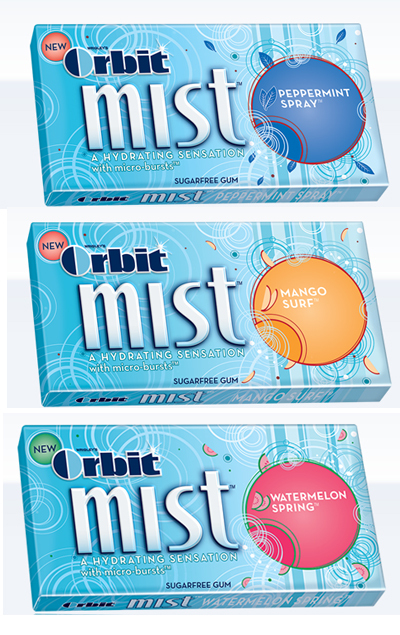 I was extra done for when I saw this Orbit Mist has "A Hydrating Sensation with micro-burst". In Mango! Yum. And Watermelon! Yum. The micro-burst didn't blow me away with overwhelming hydration, but the flavors are very tasty.